If all reviews of this template are either completed or not started, the delete button will be available. 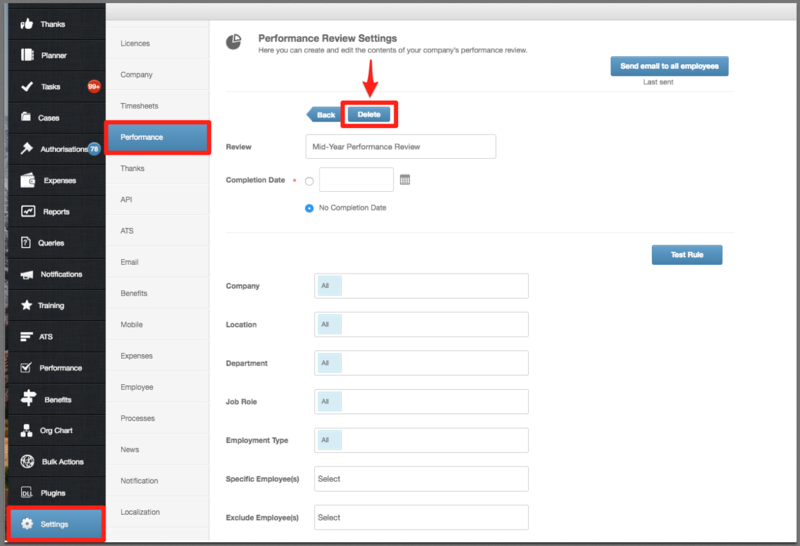 If this area does not have a delete button, it is because it has already been opened in an employee's performance tab - you are unable to delete a performance template if there is a record of this review 'In Progress' in an employee's record. If information has been added already, we advise discussing with the employee or manager - they may be happy to delete and start again or they may prefer to complete and close the review. Once all open reviews have either been deleted or closed, go back into the Performance template in the Settings area and there should now be a delete button.